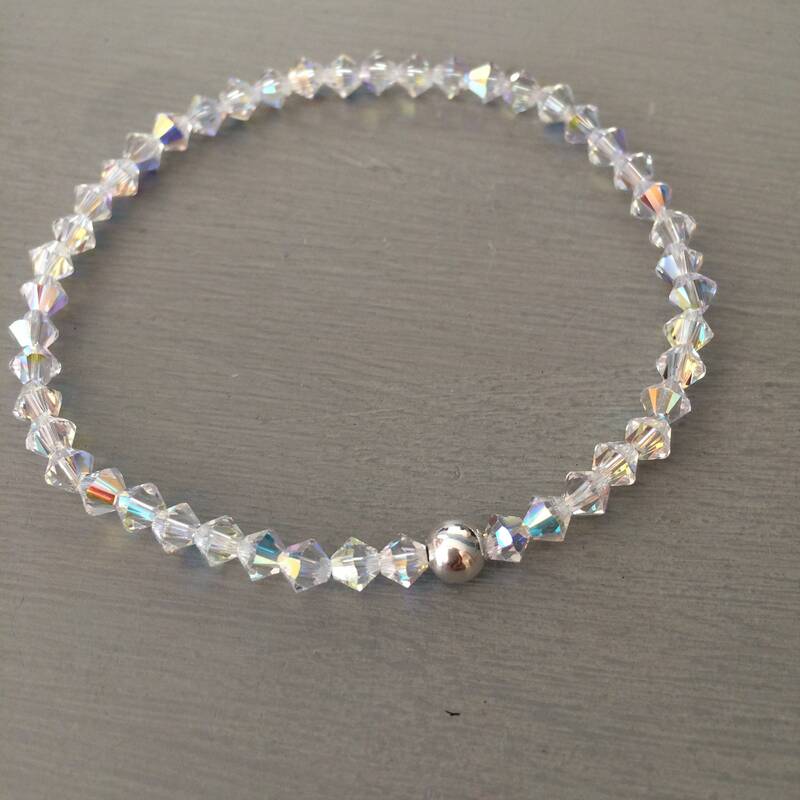 I called it "Clear Sparkle"
please make your choice above. 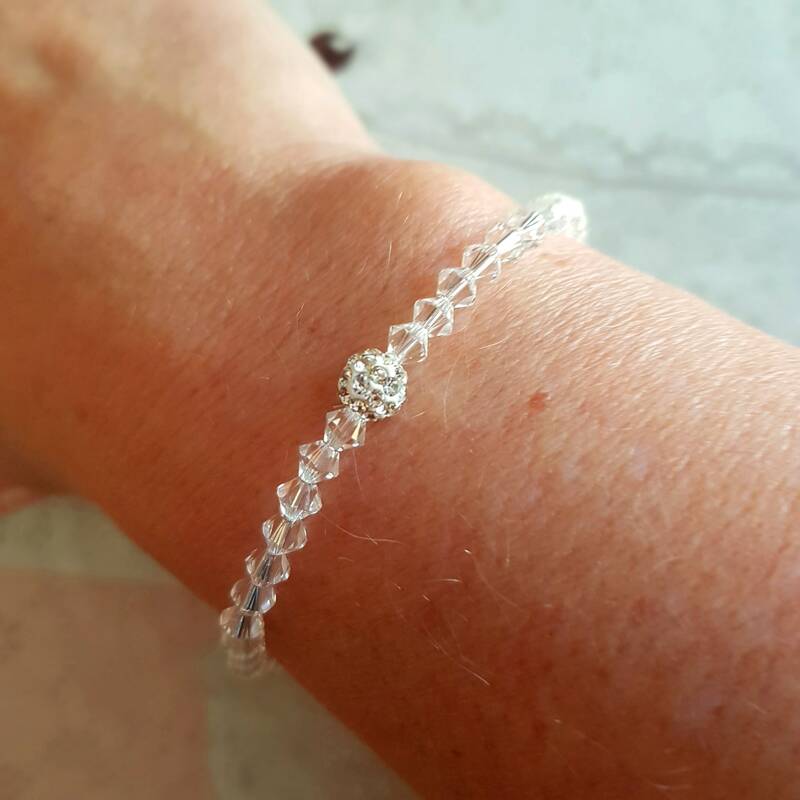 This bracelet comes complete in a pretty gift pouch as standard, but pretty gift boxes with satin bow are available at checkout also as an upgrade to make an extra special gift. 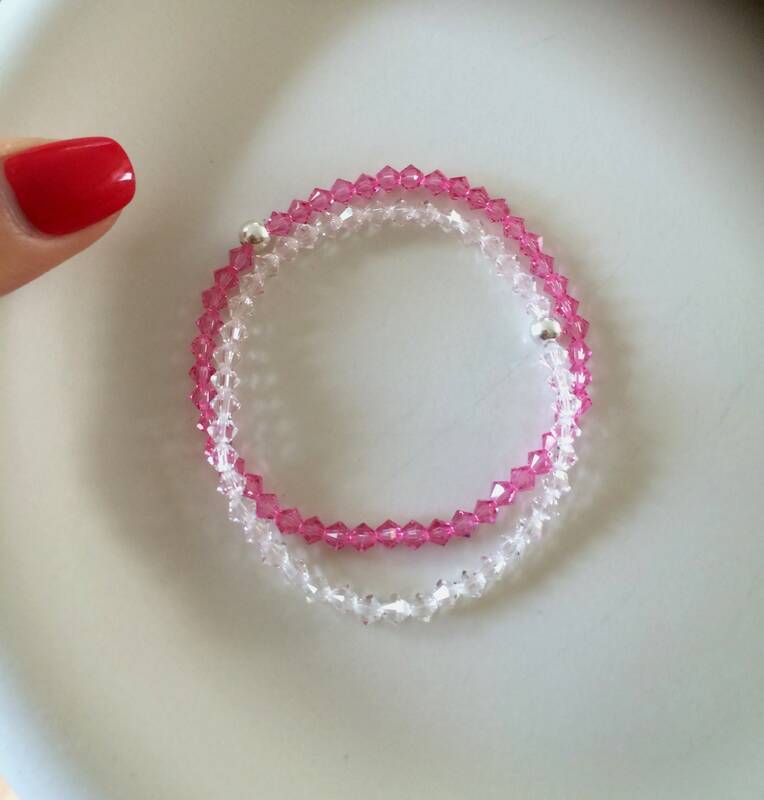 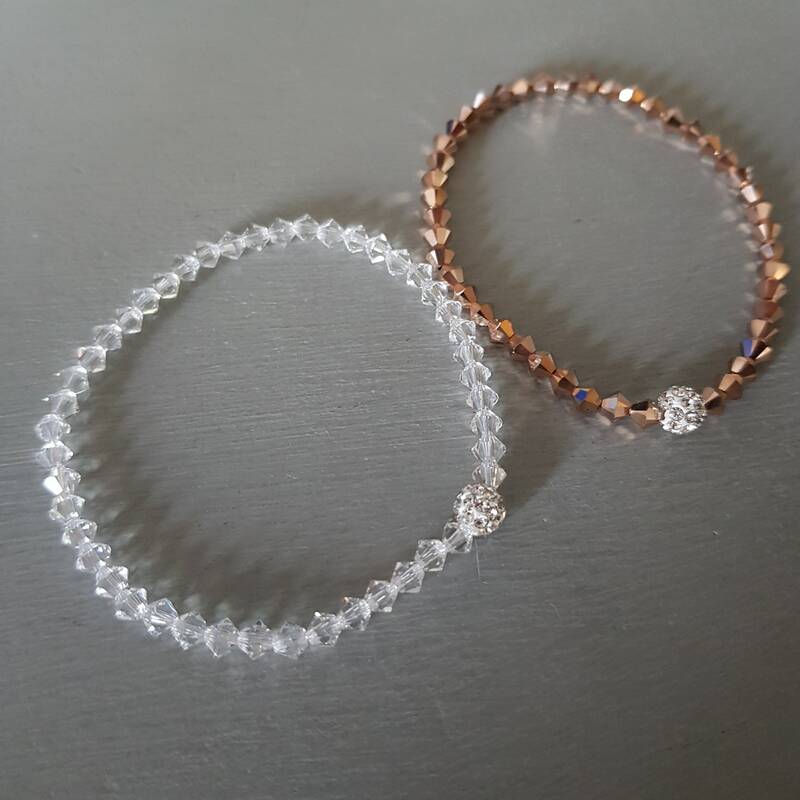 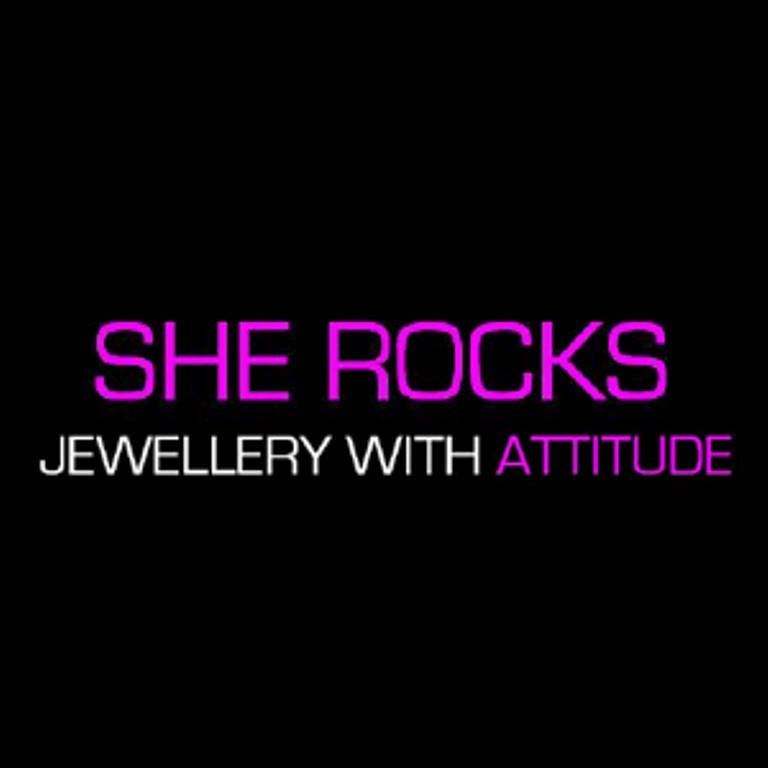 but can be customised in other lengths above, please double check sizes before ordering as only the 7" bracelet can be returned as the others are made especially for you. 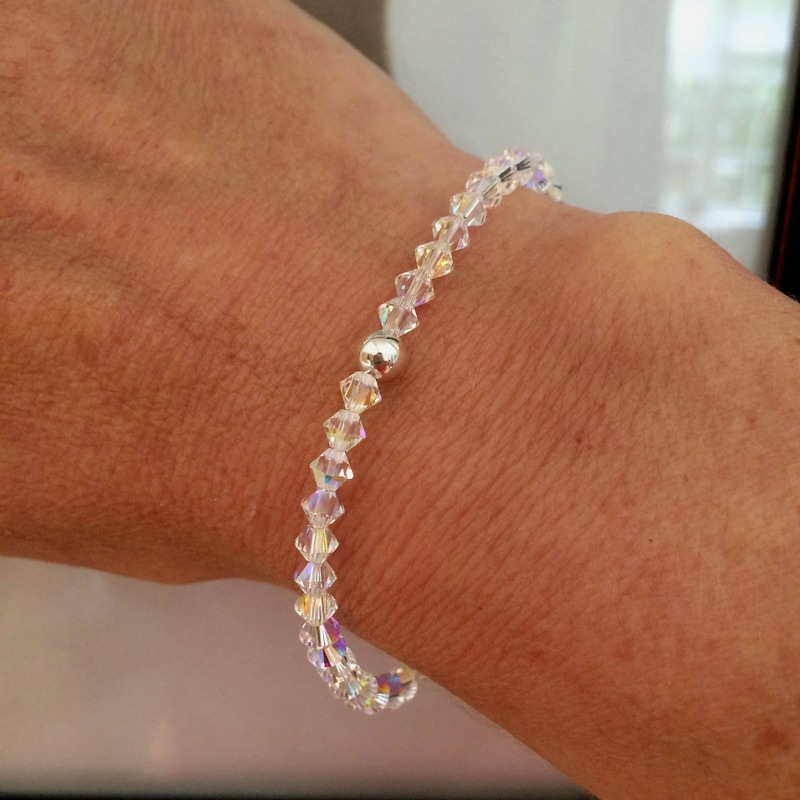 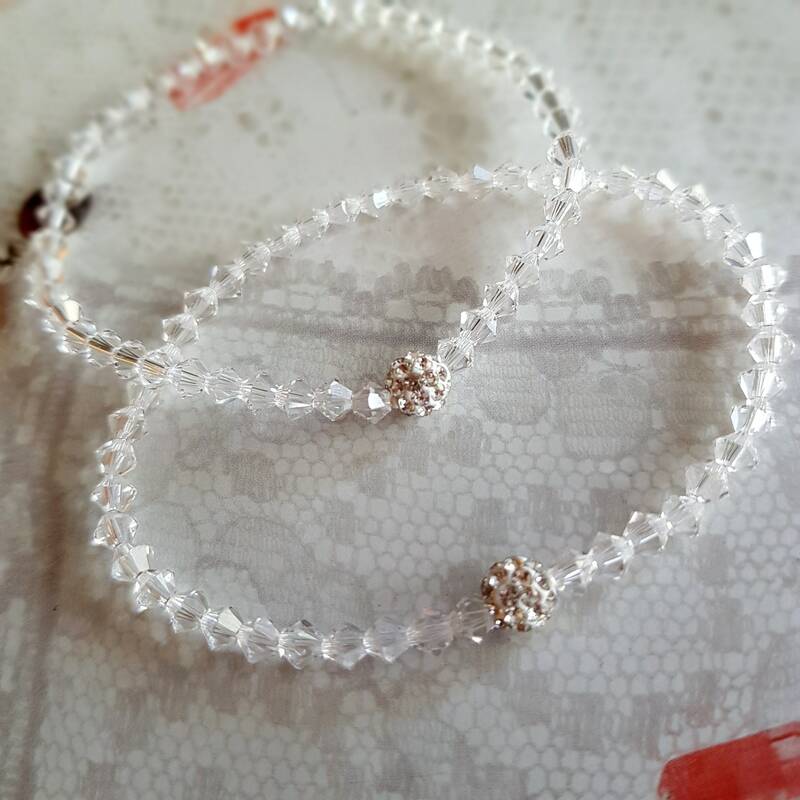 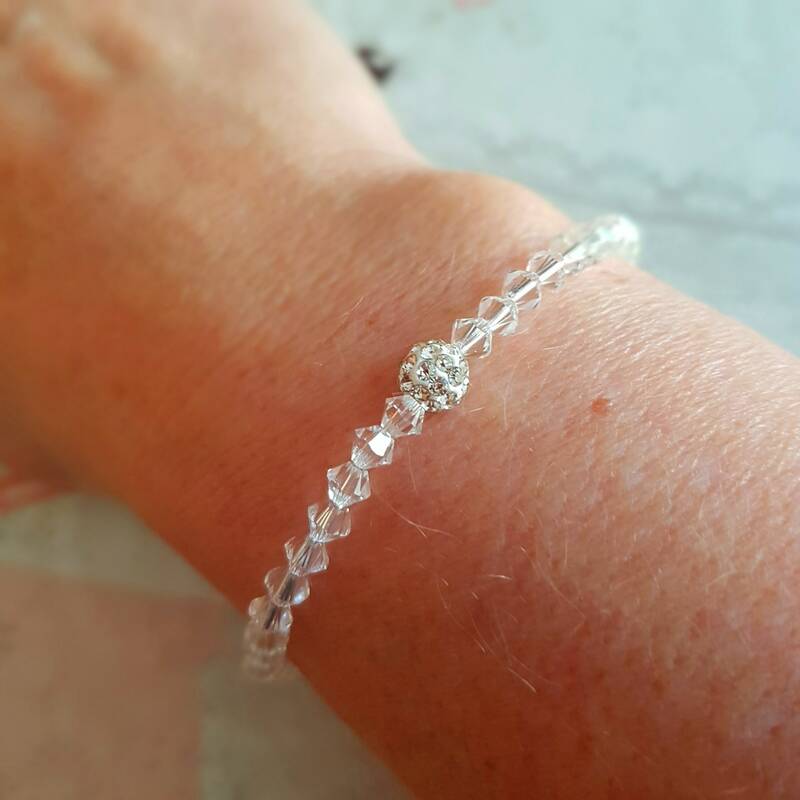 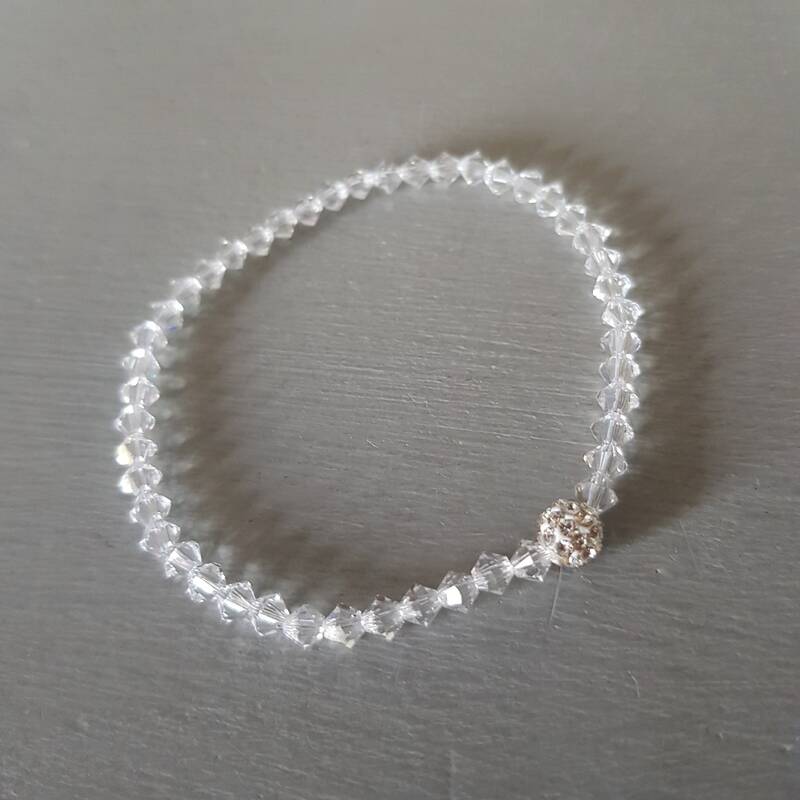 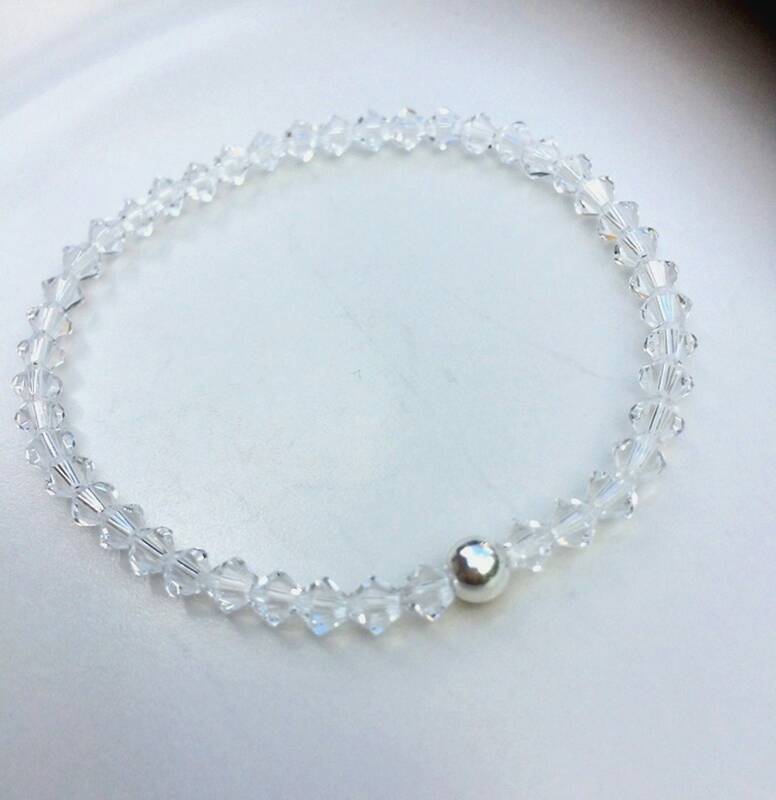 This bracelet looks great on its own for a minimalist look, or stack them up with my other tiny Swarovski crystal, gemstone, Freshwater Pearl and Sterling Silver stretch bracelets, see pictures above for stacking inspo.